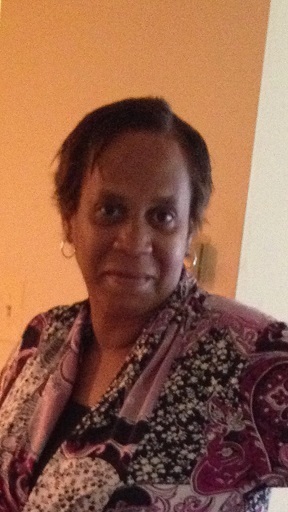 Karen Willis, 59, of Monrovia, MD, entered eternal rest after a very brief illness on Wednesday, April 3, 2019 at Frederick Memorial Hospital. She was the beloved wife of the late Merritt D Willis Sr.
Born on December 29, 1959 in Frederick,MD she was the daughter of the late John Spencer and Martha E Hoy. Karen was a graduate of Linganore high school class of 1977. After graduating she went on to become a CNA/GNA in which she’s done for the past 42yrs! She was currently employed by visiting Angels. She always had a passion for helping others. When she wasn’t working you’d find her hanging out with her grandkids, watching British TV, Food network, playing cards, drinking wine with family, or WWE! She is survived by her children Merritt D Willis jr., Chantel Dey of Monrovia, and Step-son Marquette Willis of Laurel, two grandchildren Jordan Mullen and Erica Dey of Monrovia,two brothers Ernest Spriggs Sr. of Frederick and Kevin Spriggs (Rona)of Gaithersburg, two sisters Velma Lawson (Royal) Adamstown and Cheryl Spriggs of Greenbelt, five brother-in-laws Wayne Willis (Charlotte), Herbert Willis (Eleanor), Harold Willis (Rene), Bernard Willis and Hammond Willis(Charlotte),Two sister-in-laws Emily Dorm (Charles) and Genevieve Willis and a host of nieces, nephews, and cousins. She was preceded in death by sisters Betty Lewis, Elaine Battle, and Susie Jackson. Brothers Nathan Hoy Jr. and John Moore. Sister-in-law Troy Spriggs.